One dad found out the hard way that newborns can be pretty unpredictable. Parents Mark and Shayna Resnick recently took their 10-day-old son Asher for his first photo shoot. After an hour of fussing, Asher finally settled down and fell asleep on his father’s back – but not before he pooped all over, resulting in a hilariously epic photo. After the photo shoot, Mark posted the photo to the Life of Dad Facebook page. It has now gone viral with over 63,000 likes and 11,000 shares! 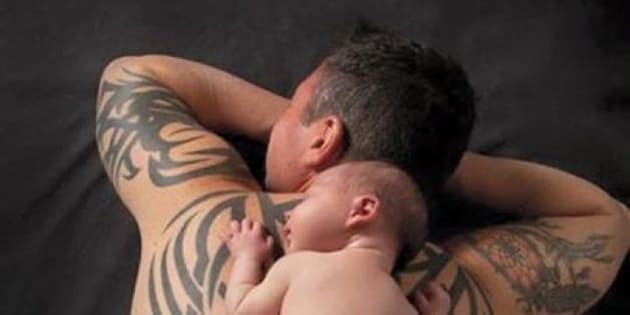 Last year, a similar photo went viral after a newborn pooped all over his dad’s arm. The blissful look on the little one’s face was priceless.